Here’s some nifty news – I had a story published in a new book! 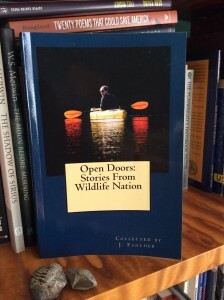 The book is called Open Doors: Stories of Wildlife Nation and it was put together by Janet Fancher. Janet contacted me through her sister and my friend Becky Lentz to see if I would contribute a story about a special moment I had connecting with nature. 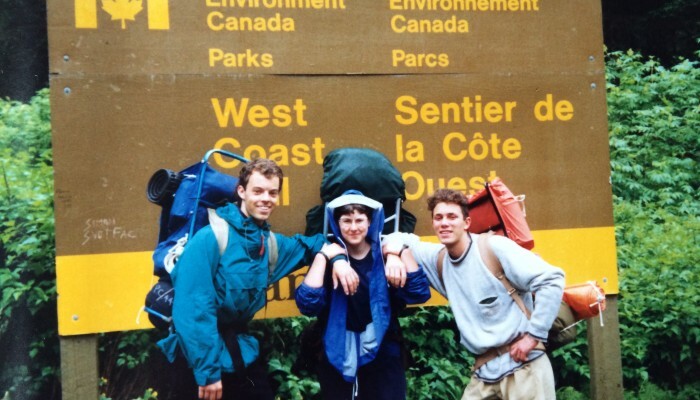 My life is blessed with many wonderful experiences in nature, but I decided to write about hiking the West Coast Trail in spring 1990 with my classmates from Lester B. Pearson College – Theron Shaw, Roberto Spina and Sherie Verhulst. In the story, I say I have no photos of the hike, so it seemed almost like it didn’t happen. However, as I was preparing this blog, I looked for photos of my classmates, and I found four precious photos from the hike. There are none of the climactic event in the story, of course, because we were focused on surviving! But still, seeing these photos really made my day. If you’d like to see the conditions of the trail, this CBC documentary about the West Coast Trail gives a great sense of how it feels to hike it. I hope you enjoy the story! It’s called Choosing When to Let Go – dedicated to my fellow hike survivors! One reason we turn to nature is to feel fully alive. When I was a teenager, I attended a school that focused on living in the moment. 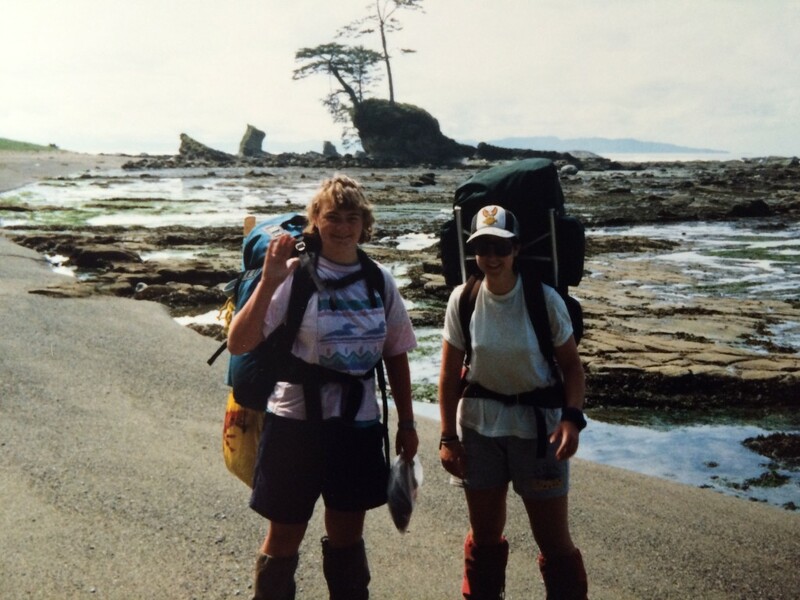 Lester B. Pearson College in British Columbia encouraged us to kayak, hike, climb – where we pushed ourselves and worked as a team. 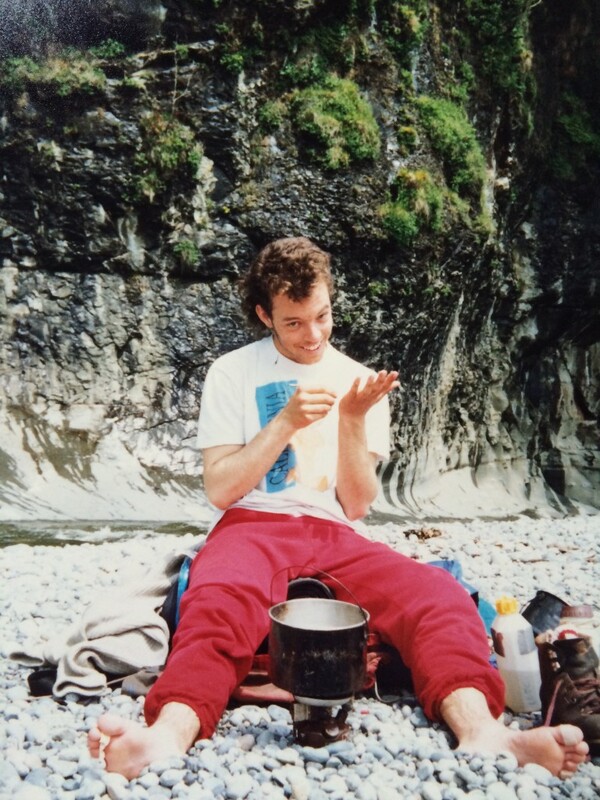 During one of these hikes, I had what might be called a “rite of passage” moment. Friends and I decided to hike the West Coast Trail. It was an exhausting trip – climbing 30-foot ladders up steep hillsides, walking on rocky beaches, sleeping in a lean-to or cave. Despite our preparations, we were cold and wet for much of the week. Our skin on our backs chafed from being wet while carrying heavy packs. There were sweet moments as well, such as when Roberto sang opera with his tremendous voice on the shore as the sun was setting. Or when we found a cave and were able to dry out every piece of clothing, especially socks. 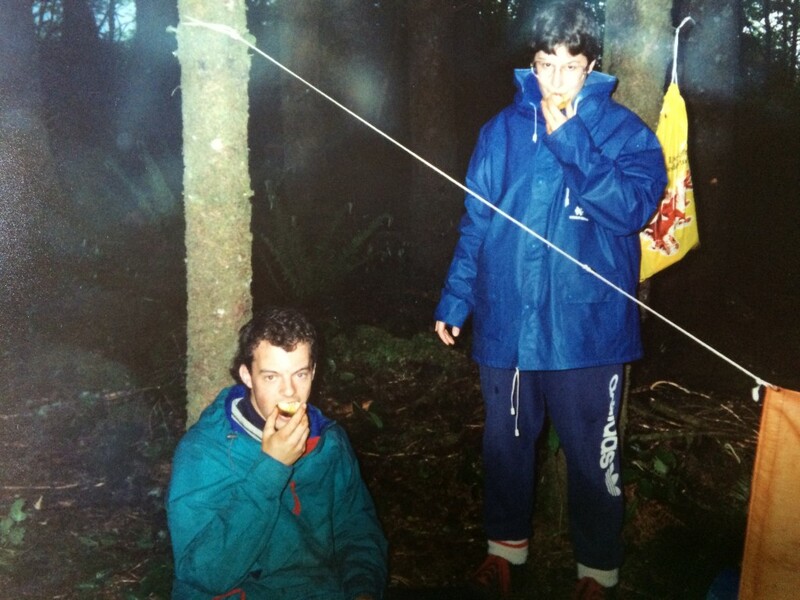 Or when a fellow hiker gave us a Sterno can when we were struggling to start a fire. And of course, the never-ending beauty of the ancient rainforest right beside the Pacific Ocean. After almost a week, we reached the end of the 75 kilometer-long trail. The trailhead is at one side of a very large river called the Gordon River, and the only way to leave the trail is to get a boat across. A few times a day, there is a man with a boat who looks across the river. If someone wants transport, they hoist a flag and he will come. Unfortunately, when we reached the trailhead, it was stormy at sea. The waves were large. When the boat driver got close to shore, he shouted that he could not bring the boat to shore because the waves would make it impossible to get the boat back out. He asked if we wanted to sleep there and he would come back tomorrow, or whether we wanted to try a riskier way of getting in the boat. It involved climbing out on a rocky overhang where he could drive underneath, and we would then fall into his boat from above. We desperately wanted to get off the trail, so we opted for the cliff. He said the waves come in patterns, and that we should let the first few wash over us so we know when to let go. He said to fall after three waves hit us so he knew when to bring the boat closest in. I think it was Roberto who went first, and I saw the waves wash up over his entire body. I thought it would pull him off the cliff but he held on, and then successfully dropped the 10-15 feet into the boat. With my giant packsack on, I climbed down slowly from the top of the cliff. When the first cold wave hit, it whooshed up over my body and into my eyes and ears. The salt stung every sore spot on my body. Two more waves, and then I just let go. I fell with a thud in the boat. It was the most intense nature experience I ever had, pushing me beyond what I thought was possible physically. These days, when I explore nature with my family, almost every moment is photographed because we have so many devices. Back then, I did not own a camera and so I have no photos from this experience. It is interesting how this total lack of documentation makes it seem almost like it did not happen. 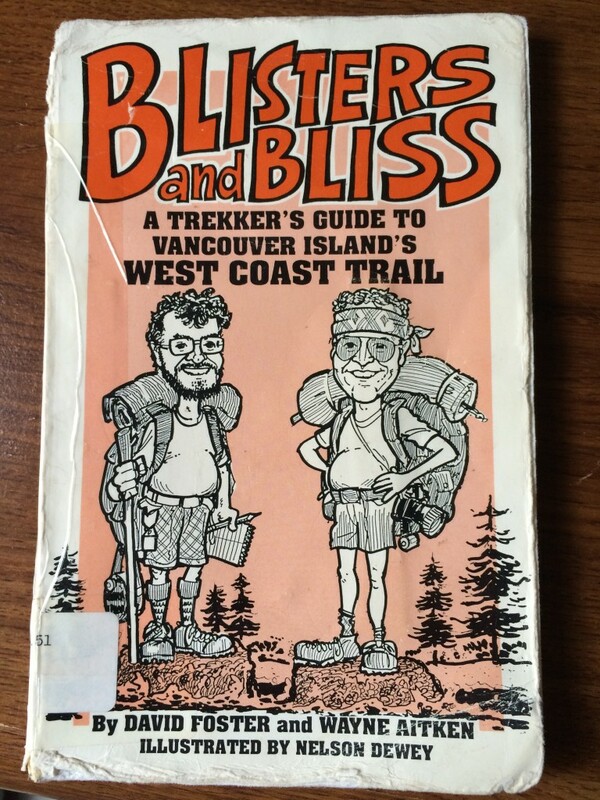 The only item I have that proves it was real was the tattered library book about how to hike the trail that we brought with us.